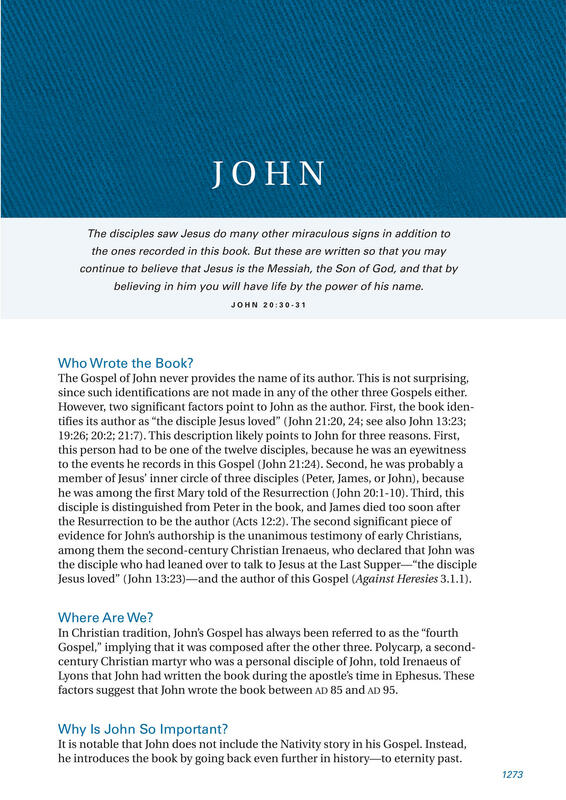 since such identifications are not made in any of the other three Gospels either. Jesus loved” (John 13:23)—­and the author of this Gospel (Against Heresies 3.1.1). factors suggest that John wrote the book between ad 85 and ad 95. Why Is John So Important? he introduces the book by going back even further in ­history—­to eternity past.